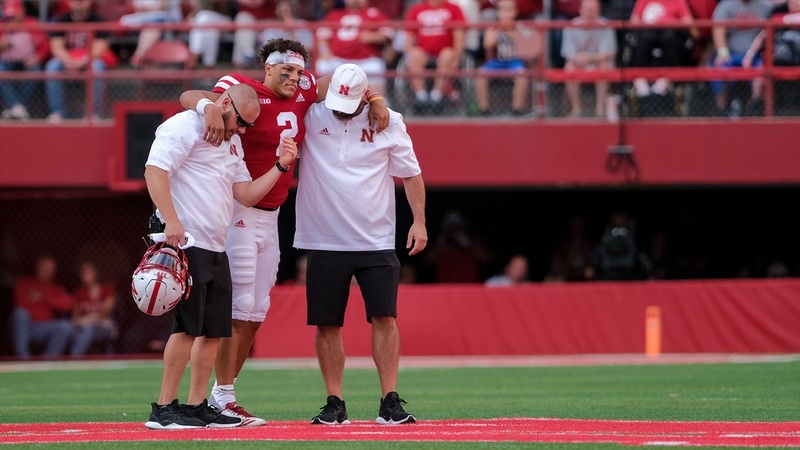 True freshman quarterback Adrian Martinez left the Colorado matchup late in the game with a knee injury. Nebraska coach Scott Frost was initially hesistant to say much post-game, but he did call it "semi-encouraging" at the time and said he would wait to know more before he provides additional comment. On Monday, Frost was able to update Martinez's status. When asked, Frost said they received as good of news as they could get. Frost said he wouldn't get into specifics, but there is no real ligament damage for Martinez. "He's going to be day-to-day," Frost said. In the meantime, all quarterbacks will receive reps this week in preparation for Troy. Frost said it could come down to a game time decision on who will play. Martinez was spectacular in Nebraska's debut, capturing the attention of many. He ran for 117 yards and two touchdowns (the first coming on a 41-yard keeper) while throwing for another 187 yards on 15-of-20 passing with a touchdown and a pick before leaving the game. With Martinez on the bench, sophomore walk-on Andrew Bunch stepped in for the last drive and two plays. Bunch went 4-for-9 for 49 yards through the air and carried the ball once for 1 yard. Bunch's pass under heavy duress intended for JD Spielman fell incomplete as time expired to seal the 33-28 loss. True freshman Matt Masker, a walk-on out of Kearney Catholic, is the only other eligible quarterback in Mario Verduzco's room. Masker threw for more than 7,000 yards and 86 touchdowns during his high school career. Nebraska and Troy kickoff at 11 a.m. CT Saturday in Lincoln.